It’s mid November and Christmas is on the horizon. The clocks have gone back, the days are growing shorter, our knitwear is out, candles lit, hot chocolate on tap and we’re starting to think ahead to the festive season; how we’ll be decorating our homes, what we’ll be eating, and of course, what we’ll be gifting our family and friends.We know that December is a period associated with festivities, along with many meaningful and joyful traditions. But we also know that it’s a time of consumption, excess and waste. In fact, we produce an alarming 30% more rubbish during the festive season and given that each year we already dump a massive 2.12 billion tonnes of waste, that’s a problem. Which is why all I want for Christmas this year is…blank. There’s absolutely nothing I need and instead I’ll be focusing on cherishing what I own and repairing any broken items. Like my dungarees that split and need stitching up or my favourite mug that came crashing down on the kitchen floor last week and has been sat broken in a drawer ever since. Because instead of buying a new one and binning my broken one, I’ve simply mended the one I already own and sure, my mug doesn’t look the same as when it was new, but it’s serving its’ function and won’t be being sent to landfill anytime soon. Plus, I think it looks kinda cool with its’ blue and pink little knobs. I’m a huge fan of sugru which is quite simply and wonderfully a mouldable (think play dough) glue that sticks permanently to lots of materials like glass, ceramic, wood, metal and plastics. You have 30-35 minutes to mould it and then within 24 hours it turns into rubber. I use it to help me fix anything and everything, from broken toys to worn out cables. Because Sugru is mouldable it means you can fill gaps, holes and rebuild parts so it can be used to create 3D parts like missing rubber wheels, replace worn knobs and handles. Plus it’s not just about fixing, it’s about making and playing using imagination – I fully plan to get the kids involved using it soon too. Also unlike conventional glues that require two flat surfaces, you can make strong, flexible joins between all sorts of shapes, uneven surfaces and contrasting materials. 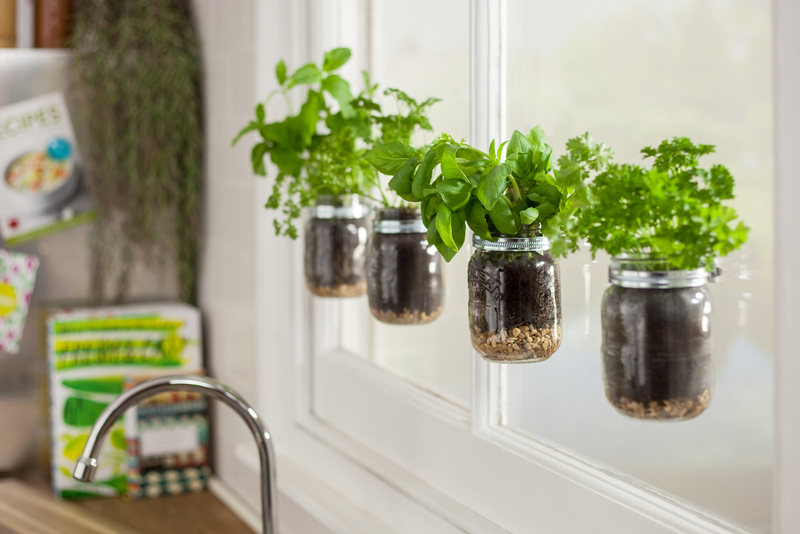 Oh and it’s also waterproof so you can use it in the bathrooms, shower and sink areas – I’m planning on using it to stick up a bathroom radio soon and I’m also now starting to turn to use it to make new items for our home – I want to make these next. Above and beyond what the product is and can do, Sugru is a company, who like me, believes that there’s too much waste in the world and wants to help inspire a new generation of fixers to improve and reimagine the products they already own. They’ve even written an entire manifesto all about their vision! 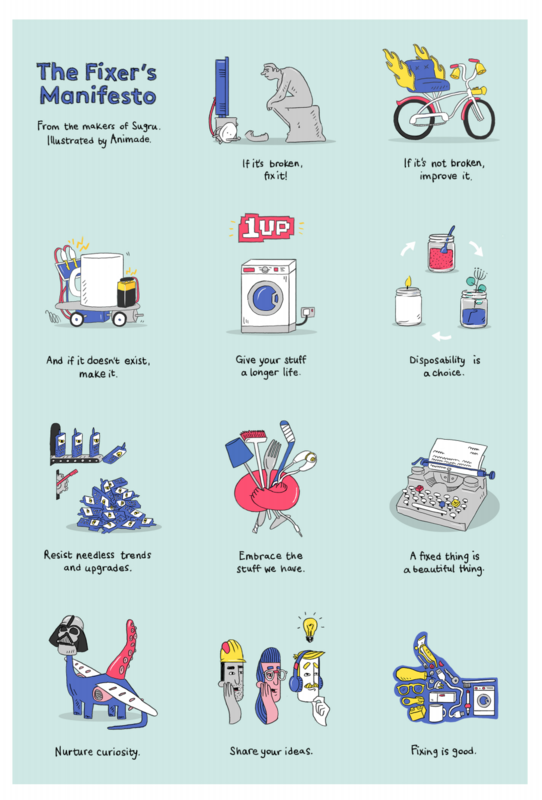 They have SO MANY AWESOME ideas on their website – but I’ll just leave you with a visual of their manifesto because I think it’ll resonate with many of you. Are you a fixer? Have you tried sugru? 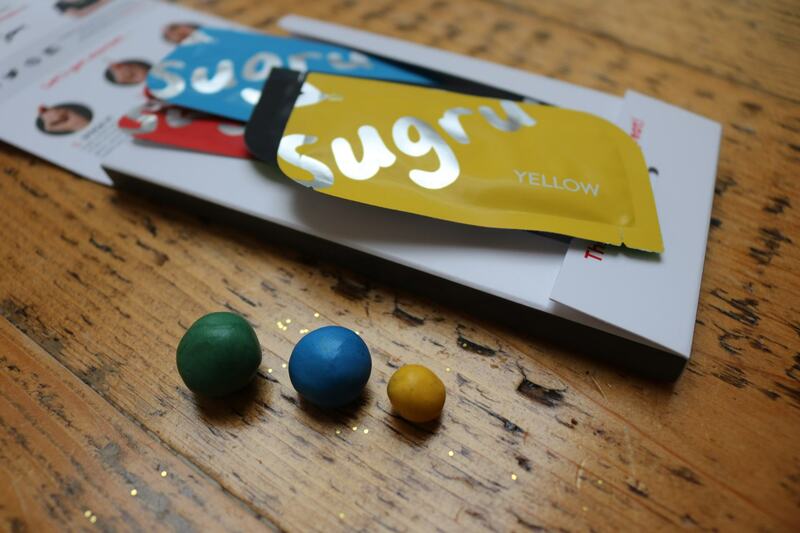 This post is proudly in partnership with the awesome Sugru. Thank you for supporting the brands that support this platform – without them, none of this could exist.